Radug Kh555 cruise missile loaded onto a Tu-95 bomber.Radug Kh555 cruise missile loaded onto a Tu-95 bomber. As mentioned above, most of the Iranian coastal and naval attack missiles are based on Chinese C-series (C-701, 704, and 802). Unlike these, Soumar do not resemble any Chinese weapon, but bears close similarity to the Russian Kh55SM cruise missile. Iran acquired 12 such missiles from the Ukraine in 2001. These missiles were also sold to China in 2000 and more were delivered to an undisclosed customer, assumably North Korea. The Saturn TRDD-50 miniature turbofan engine was designed specifically for cruise missiles. The Saturn TRDD-50 miniature turbofan engine was designed specifically for cruise missiles. Russia is not likely to allow the export of such engines to equip foreign weapons programs, since it will be considered a violation of the MTCR regime. But Moscow agreed to supply such engines to power the Indian target drone ‘Lakshya’. However, the mini turbofans are believed to have also powered the Indian cruise missile Nirbhay on its maiden flight in October 2014. Launched from land-based or naval surface based platform, Soumar uses a booster to accelerate for cruising speed. The folded lattice tail controls are used to stabilize it as it accelerates from zero to the cruising speed, when the missile gain enough speed to enable efficient use of conventional control surfaces. Launched from land-based or naval surface based platforms, Soumar uses a booster for the initial acceleration. The folded lattice tail controls are used to stabilize it as it accelerates from zero to cruising speed, when the missile gain enough speed to enable efficient use of conventional control surfaces. 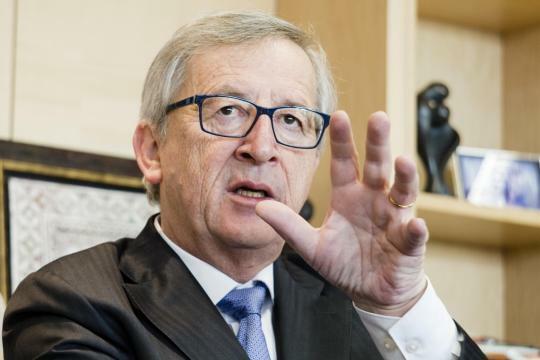 The President of the European Commission, Jean-Claude Juncker, has called for the creation of a European army. “Such an army would help us to build a common foreign and security policy and jointly assume the responsibilities of Europe in the world,” Juncker said. With its own army, the Luxembourg continue, Europe could react credibly to a threat to peace in a Member State or in a neighboring EU country. So could you give the impression of Russia, “that we are serious about upholding the values ​​of the European Union”. The advance of experiences from different sides support. “A joint Army is a European vision whose time has come,” said Chairman of the Foreign Affairs Committee of the Bundestag, Norbert Röttgen (CDU). “Europeans spend together enormous sums of money for the military, many times. But our military capabilities remain security policy inadequate as compared to Russia, as long as we maintain national small armies that also do the same thing in miniature in many parts and purchase.” The army as an expression of nationhood had survived as an idea and politically, Röttgen said. In the interests of European security, which is violated by the hegemonic policy of Russia, this anachronism had to be overcome. The Bundeswehr is setting a as a model. On Friday, the German army announced for the first time in its history, a battalion of 600 soldiers to be put under Polish command. In return, take command of a Polish battalion, a German Brigade. Defence Minister Ursula von der Leyen (CDU), traveling to Warsaw on Wednesday, said the EU needed in the foreseeable future a European army. 2014, the Netherlands had already made 2100 soldiers under German command. The Bundeswehr plans in return, the Dutch naval forces to insinuate.